This is authentic Japanese. They do use good ingredients. We came here for the soba which is handmade. I agree, he does make good soba. It is also cooked Al dente. And having just returned from a trip to Japan, they also gave us a pot of broth where the soba was cooked in to add to our broth in the bowl after finishing our soba; just like they do in Japan. 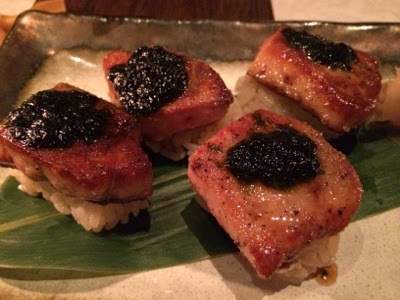 First was the foie gras. Seared and probably torched with sugar on top was excellent. 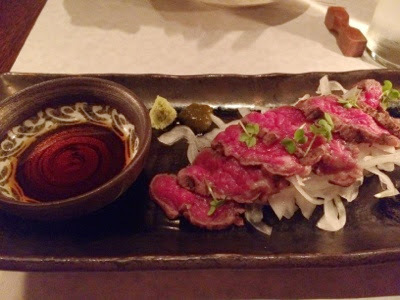 The rare beef which was almost like Italian carpaccio on a bed if sliced onions dipped in Japanese Yuzu-sho was excellent. 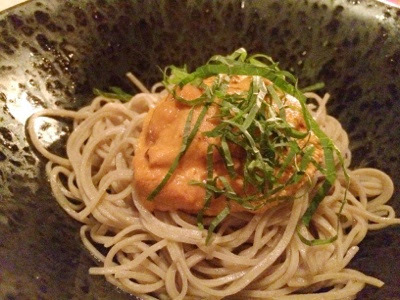 Home made soba with uni which we requested replaced the plain soba they were going to serve but charged a little extra for this request. 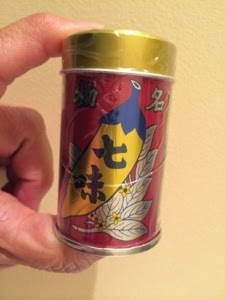 This came with wasabe, some scallions and a broth that you'd pour into the bowl of noodles and mix. 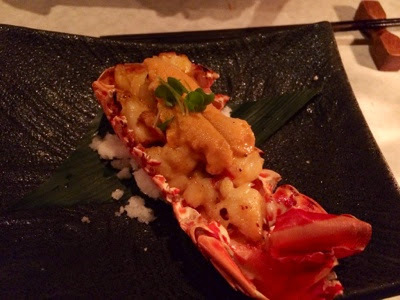 Lobster with uni. The lobster a little tough. 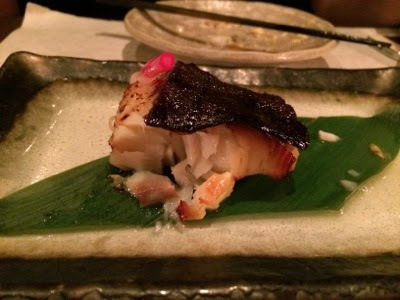 Black cod replaced the foie gras we had which someone else in our group did not want so had the fish instead. Above were small plates if assorted vegetables. 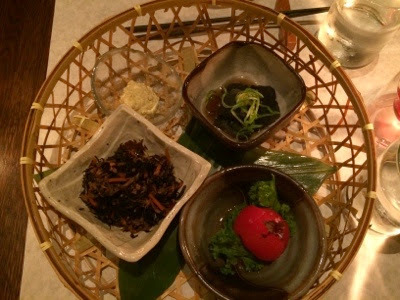 Some pickled seaweed, eggplant and tomato with wasabe mayonnaise. There was also tofu with uni but I had forgotten to take a picture of it. 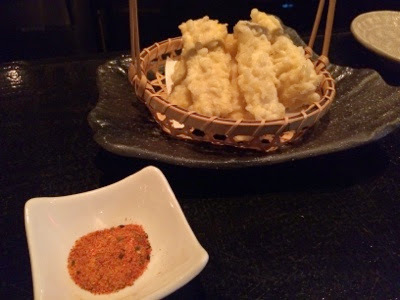 While waiting before dinner because we arrived early, I ordered corn tempura. It was quite good and reasonable. Eaten dipped in Japanese pepper. I think it's this condiment above that they use or similar. I got this one from my trip to Japan. Daruma has a sushi bar downstairs. Maybe I will try it next time. They said the sushi area is open only in the evening. 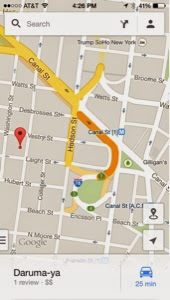 But Daruma-ya on the main floor is open for lunch and dinner. I think I will try it again next time.